It hardly makes the news, but in some places local municipalities are providing super cheap, super fast internet. The government of Chattanooga, Tennessee for example, is offering fifty times the speed of standard broad-band (high speed internet) for just $70/mo. 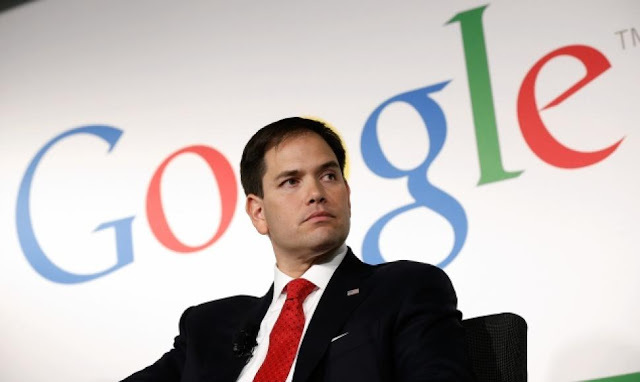 Marco Rubio doesn't like this, apparently. He, along with a handful of other Senators, sent a letter to the Federal Communications Commission (FCC) asking them to allow State to block municipal broadband services. The grounds being that it disrupts free market behavior amongst telecoms firms which provides the best service at the lowest prices. Ok.
What is noteworthy is that last sentence. As a major fundraiser for Rubio, one of three lobbyist bundlers, and a direct plug-in to telecom interests, Weaver raised $33,324 for Rubio. You may remember a few weeks ago we published a post where we highlighted Americans literally gave away $70,000 to the company behind Cards Against Humanity for nothing. Weaver, on the other hand, got a serious candidate for the Republican Presidential nomination to endorse his political and financial interests for half that. Of course, there are other factors involved. Weaver has close ties to Rubio and the argument made isn't off brand for Republican politician (though notably only eight Senators signed). More importantly though, stumping for the telecoms now will make future financial support from its mega-rich CEOs and upper-echelon employees very likely. From Rubio's point of view this is a no-brainer. When a constituency's interest is clear, and they're ready to give or withhold support based on it, the calculation doesn't take a lot. And with voters spending more on Halloween than elections, neither does the influencing. Our Second Funded BernSpark Campaign! 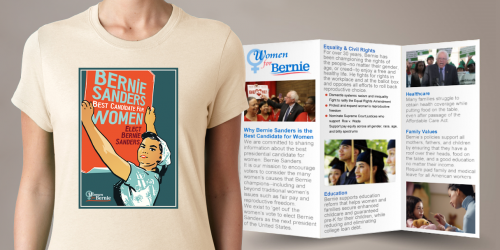 If you've been following our Facebook or Twitter you know last week an awesome project for Bernie Sanders T-shirts and brochures was just a few donors away from funded. Well, as of Saturday it made it! Jenni Siri has some amazing artwork and now, because of the BernSpark community, it's all getting made into shirts and brochures! Want to get your own shirt, brochures or even framed poster? It's not too late! The project has beaten its goal but the deadline isn't until January 13th. You can still make a donation, get a reward and help a Sanders Supporter! Check our Jenni's project here.